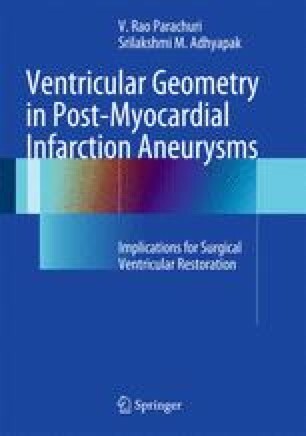 The first two chapters have focused on the normal ellipsoid ventricular architecture, its myofiber organization, and its unique mode of filling and ejection. With the advent of diseases like transmural myocardial infarction, scar formation, and subsequent ventricular dilatation, the perturbations in anatomy and function have also been detailed. It is essential for cardiac surgeons to comprehend the central theme of that of altering structure effects function profoundly. This concept forms the basis of surgical restoration of dilated, distorted ventricles of patients in advanced congestive cardiac failure. The knowledge of ventricular structures helps impact surgical decisions concerning operative modifications in restoring a near physiological form, which are delicately balanced on the interplay of left ventricular spatial relationships. Early reperfusion procedures for acute myocardial infarction, whether by thrombolysis or angioplasty, have altered the pathological changes that follow acute myocardial infarction.